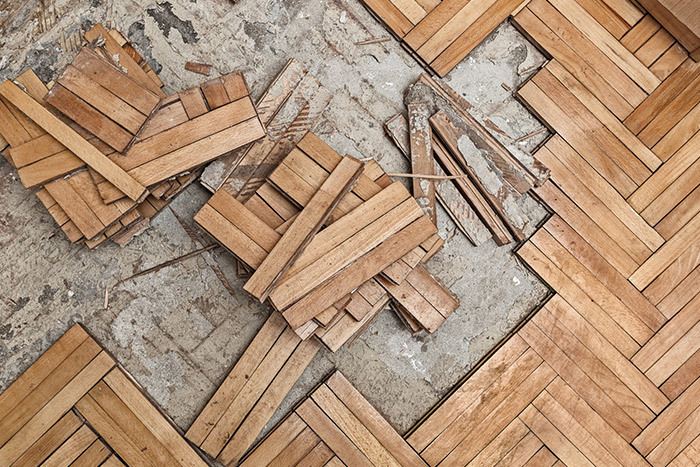 Discarded flooring material fills up landfills and contributes to waste. At Intex Flooring, we strive to be a green and environmentally-friendly company, and this means committing to sustainable practices to salvage and reclaim old flooring. When replacing existing floors, we make it a point to recycle every component possible to reduce unusable waste. We will put together a quote for you to remove your old flooring and have it transported to a recycling center, where it can be remade into a new green flooring product or product to be used in the consumer or industrial world. To learn more about our recycling options and how we give back, get in touch. Reach out to us to learn more about our sustainable flooring options and our recycling services.